I've known Tay since the 90's high school back in Philly but it wasn't til about two years ago that we linked back up through facebook and she was telling me that cats back in Philly were frontin' on her on the music tip. And if ya'll know anything about me, ya'll should know I HATE cats frontin' on folk for no reason. So after hearing that, me and Tay started rocking together on a song here and there and the chemistry she had with my beats were so dope we just decided to go all in a project. Her debut solo album "The Vet" is about 50% done but we wanted to drop a 'lil sumthin' so here's a sampler of some of the heat we're about to have on tap for ya'll. 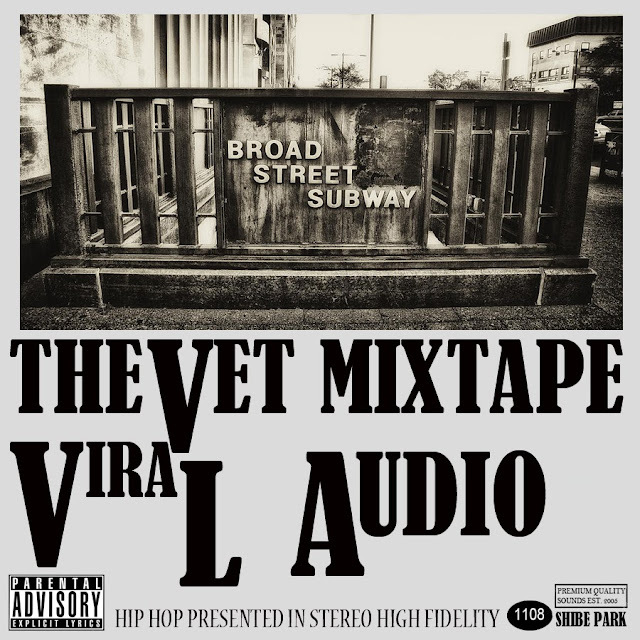 BTW, the title "The Vet" not only speaks to the fact that Tay ain't a new jack in the game but it also pays homage to Veteran's Stadium in Philly. And anybody from the crib knows the best way to get to the Vet is to take the Broad Street Line, hence the album cover. 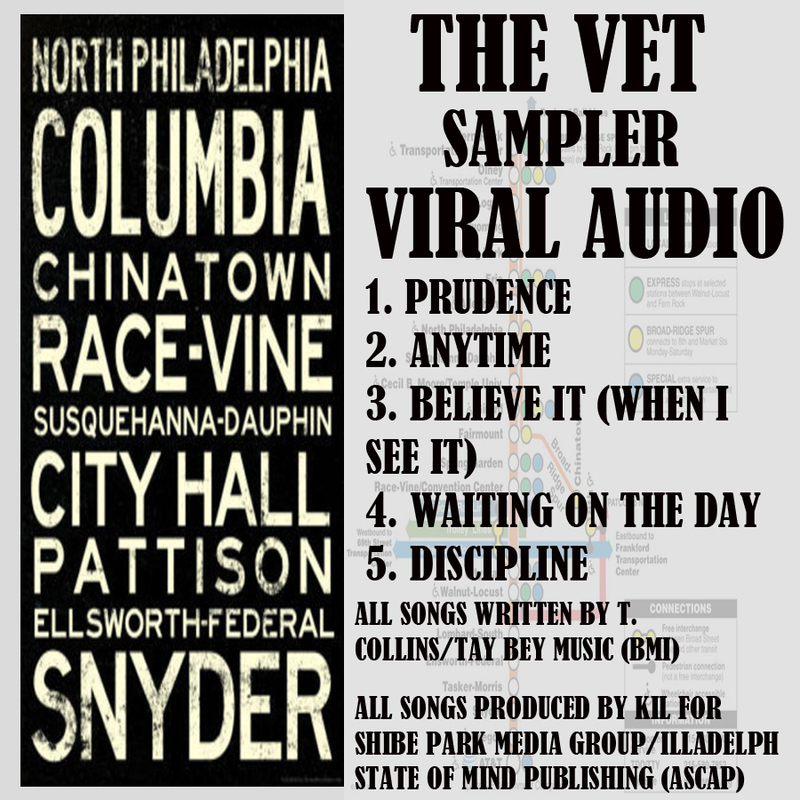 And in case ya'll slept on it, peep Viral Audio's video for her 1st single "Prudence" featuring the Unidentified Objects produced and directed by yours truly.